The combined Russian-separatist forces shelled the village of Vodiane near port city of Mariupol, the press center of the Anti-Terrorist Operation (ATO) wrote on Facebook on Friday. "At about 12:00 on December 25, the militants of the pro-Russian illegal armed groups fired 82mm mortars on the village of Vodiane located in the so-called "grey zone" near Mariupol. 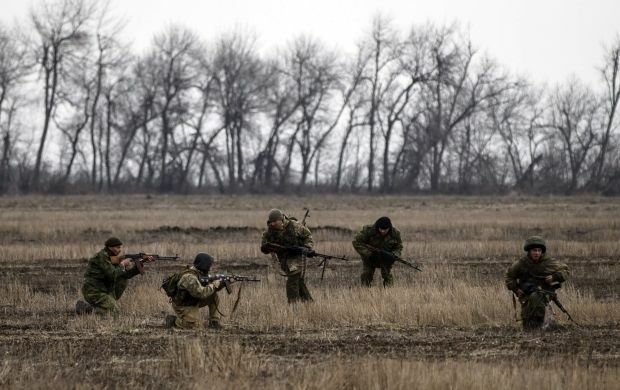 They militants fired from the militant-controlled village Shyrokyne. Five missiles fell and exploded in and around Vodiane. The information about possible victims among local residents, most of whom support the integrity of Ukraine, is being clarified," the report says. According to the press center, such actions of the Kremlin-backed mercenaries are a continuation of audacious provocations, which the invaders have recently launched in the Mariupol sector, occupying the village of Kominternove. Read alsoOSCE visits reportedly occupied Kominternove, limited to main street only"Thus, the pro-Russian hybrid gangs have once again ignored the safety of civilians and once again tried to accuse the Ukrainian military of committing this crime. The position of Ukrainian military leadership remains unshaken. In accordance with the Minsk agreements, the Ukrainian units involved in military operations are obliged to comply with an "absolute ceasefire" and strictly implement these requirements," the press center said.